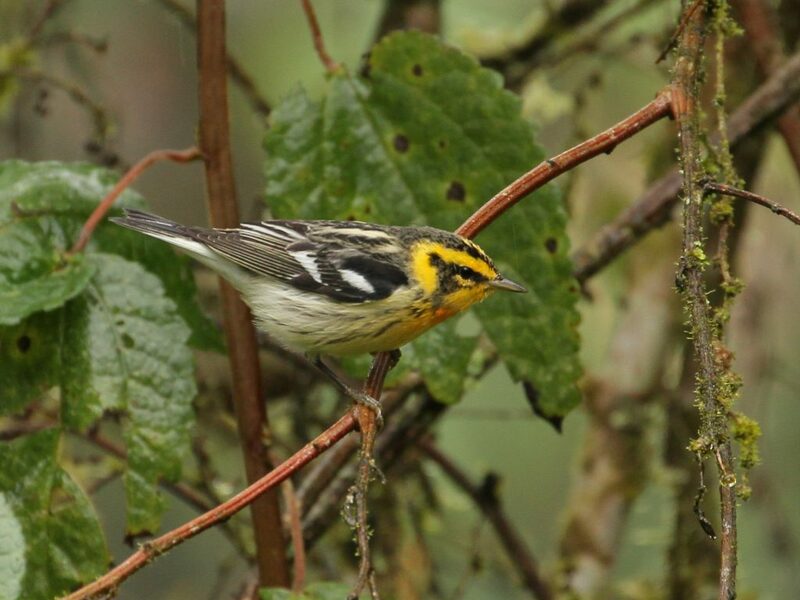 More than a dozen species of migratory birds from Massachusetts also depend on Ecuadorean forests for wintering habitat. At the intersection of five tropical biomes, Ecuador packs 1,600 bird species into an country the size of Oregon, making it a hot destination for international bird tours. But as in any part of the world, bird conservation efforts succeed far more frequently when adequately funded, or when they contribute to peoples’ livelihoods. Take the case of the Amagusa reserve owned by two farmers, Sergio and Doris Basantes. When the young couple inherited some land in northwestern Ecuador, they wondered about hosting ecotourists as an alternative to clearing forest for agriculture. They thought that tourism would never come their way– they normally saw tourists visiting towns much closer to the capital, with better infrastructure. They may have underestimated how motivated birdwatchers are. Word got out about some rare species nesting along the road near their land, and lo and behold, birders began to make the trip to see them. Doris and Sergio quickly set up feeders and trails on their own property, and started planning to construct cabins. The site abounds with flashy tropical birds. Migratory Blackburnian Warblers mingle with resident Glistening-green Tanagers, and other species unique to the region. 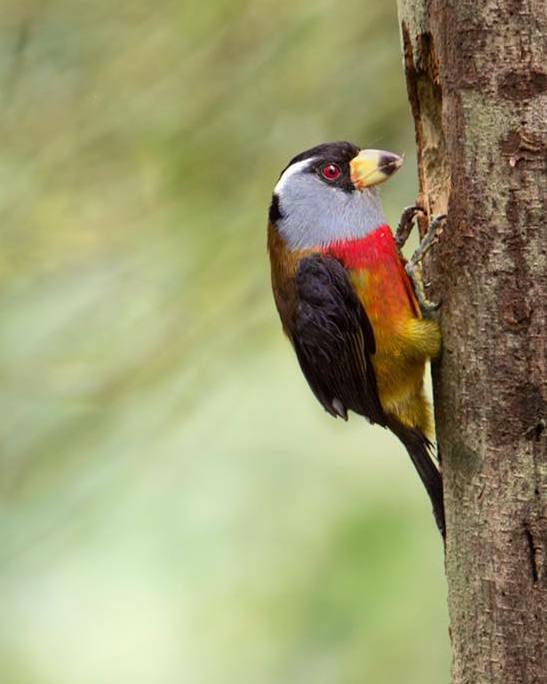 Some of these endemic birds, like the coveted and clownish Toucan Barbet, nest in plain view. Take A Trip For Conservation! Sergio and Doris are proud to make a living off of their bustling ecotourism operation. But as a strategy for bird conservation abroad, ecotourism is limited mostly by demand. Only increased interest on tourists’ part can allow sustainable birding lodges to multiply and protect more land. To help ecotourism grow in Ecuador, simply visit! Small-scale birding lodges abound. There’s even an upcoming Mass Audubon tour that visits hotspots in a different region— the eastern Andes and Amazon—featuring two locally-owned lodges, and a dazzling surfeit of tropical birds. This entry was posted in Birds and Birding, Where in the World? 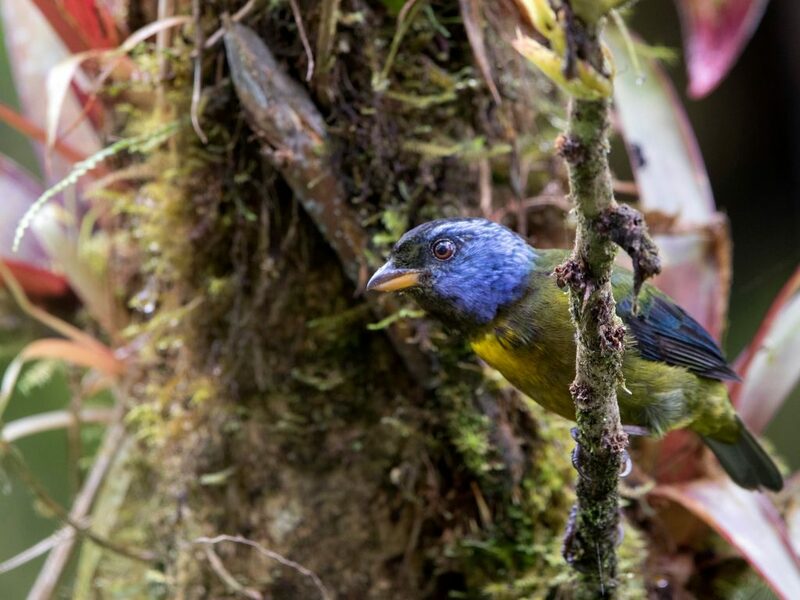 and tagged birding, community conservation, community tourism, conservation, dream vacation, ecotourism, ecotours, ecotravel, ecuador, moss-backed tanager, tropical birds, wintering range on April 4, 2018 by William Freedberg.